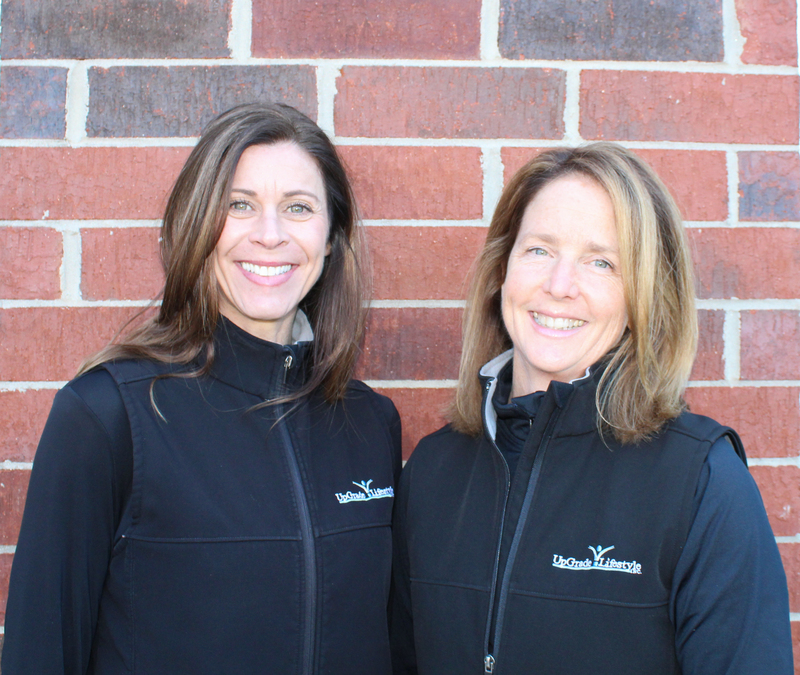 UpGrade Lifestyle, Inc. is pleased to announce the partnership between Sarah Hart (Founder and President) and Jill Baulieu (Vice President). 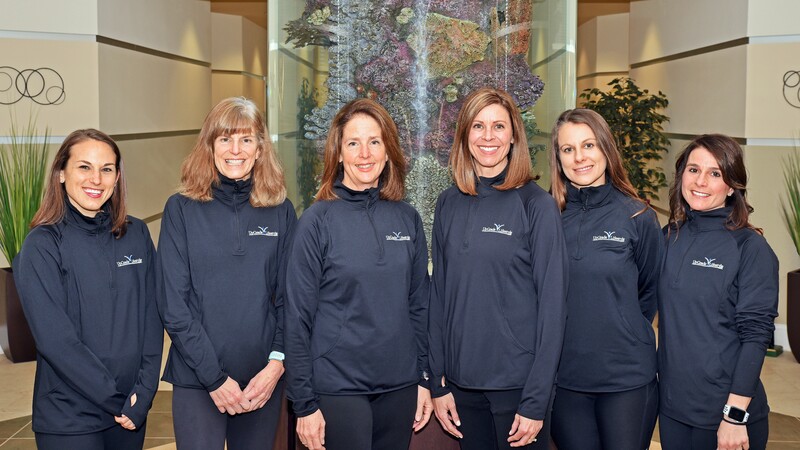 Since 2005, our professional team has helped members in the Greater Charlotte area achieve a higher level of health as well as make advancements in athletic performance. This partnership will help our company continue to grow efficiently while making a healthy impact on more individuals and families in our community. Sarah Hart has excelled as a world class athlete throughout her life. Sarah began swimming competitively at the age of 6. At the 1989 US Olympic Festival she became the first female athlete to win 6 medals (2 Gold, 3 Silver, and 1 Bronze). In the 1990s, she became a US National Champion, American record Holder and ranked in the Top 16 in the World in sprint freestyle events. Other honors include NCAA All American and USA National Team Member. After an extensive back surgery due to a physical deformity (scoliosis), Sarah and her husband welcomed their two beautiful daughters into the world. 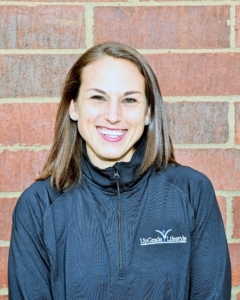 As a young mom, Sarah started running in the Run for Your Life Grand Prix Series and in 2006 competed in the Elite Division of the NC Triathlon Series. In December of 2006, Sarah finished 3rd in the Thunder Road Marathon in Charlotte and qualified for the Boston Marathon. She has competed in all distances of Triathlon, including the Ironman distance in 2013. Sarah graduated with a BA in Psychology from UNC Chapel Hill. She resides in Charlotte, NC with her husband Greg and two children Marissa and Morgan. Throughout her amazing journey over the past few decades she has developed programs which focus on creating a healthy balance in our everyday lives. Sarah knows what it takes to overcome obstacles and is passionate about sharing her expertise with clients. 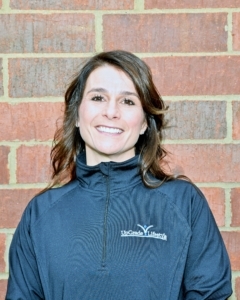 Sarah is on a mission to provide the highest quality, customized personal training to UpGrade Lifestyle clients. Jill Baulieu grew up in Scarsdale, New York, moving to Charlotte in 1990. She graduated from Lehigh University with a bachelors degree in Electrical Engineering. Jill swam competitively through her teenage years. In her 20’s she became a certified aerobics instructor and taught for 7 years in Connecticut while working at IBM. While raising her three daughters with husband David, in 2007 Jill ran her first 5K and was then introduced to triathlons through Tri It For Life and completed the Ramblin’ Rose in 2008. She has served on the Tri It For Life Board of Directors for 5 years, serving as President in 2012. 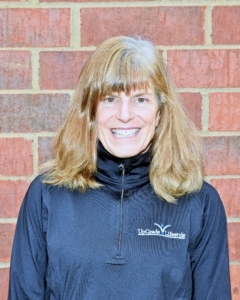 Jill’s interest in triathlons turned quickly into a passion as she has completed over 40 triathlons, from sprint to international to 140.6 distance, in NY, GA, VA, FL, NC & SC. She has raced Lake Logan 70.3, IM 70.3 Augusta, Raleigh and Lake Placid. Jill placed 3rd in her division in the Beach 2 Battleship 140.6 in October 2013. 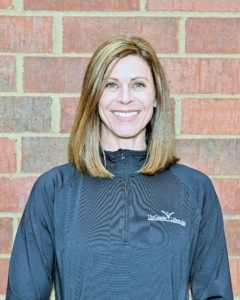 She enjoys sharing her experience to help others reach their fitness goals through personal training sessions, lifestyle plans, single/multisport training plans, open water swim instruction and coaching indoor computrainer and tri circuit classes. Megan Hovis grew up in the small town of Milton, Vermont. She became interested in nutrition at the young age of 12 and made it her goal to better the health of her family. She went on to get her BS in Nutritional Sciences at the University of New Hampshire. While attending UNH, Megan was a member of the Cross Country, Indoor and Outdoor Track & Field teams. She was a four-time America East champion, having won titles in the 10,000 meters, 3,000 meter steeplechase, 5,000 and 3,000 meters. She was All-Northeast Region and All-American for cross country. In 2005, she was a provisional qualifier for NCAA championships in the 10,000 meters. After college Megan moved to North Carolina to enjoy running outdoors all year long. 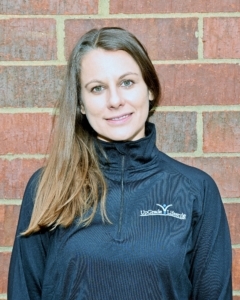 Megan found her passion in long-distance running and started training for marathons. After running the Thunder Road Marathon in Charlotte, NC (2007) in a time of 2:45:10, she qualified for the Olympic Trials. At the trials she ran a 2:37:29 and placed 12th in the Country. Megan worked as a Clinical Dietitian at Springs Memorial hospital for two years after college where she gained much insight into differing disease states and how to educate different populations on nutritional information. She joined UpGrade Lifestyle with much excitement as she combines both of her passions into one. She loves to share both her training/fitness and nutritional knowledge with others, and truly enjoys watching her clients succeed! Megan resides in Charlotte, NC and enjoys spending time with her husband Ben and son Chase. Amy McLaughlin was born and raised in Mooresville, NC. She is a graduate of UNC-Charlotte with a degree in Psychology. She was first an UpGrade client before becoming a certified personal trainer. Amy has participated in 5k-ultra marathon distances and sprint-international distance triathlons. After the birth of her second child, she became interested in the longer distance run events. She qualified for the Boston Marathon in 2011 with the help of UpGrade Trainers and ran the Boston Marathon in April 2012. Amy has an appreciation for fitness and nutrition and fitting it all into our busy lives. She believes that the past does not dictate the future and she is excited to help the client who is ready to make a change! Kay Sanborn grew up in Toledo, Ohio and Yardley, PA where she swam competitively through high school. While she attended Miami University in Ohio, she started running with a goal to lose some weight and get fit. Three decades later, she is still running. Early on in her running career, Kay wanted to qualify for the Boston Marathon and made that happen in 1984. Along the way, she has posted a 3:08 personal best and has run in some amazing marathons including NY, Paris, Marine Corps, Philly, Big Sur, Napa, Flying Pigs, SF Nike Women’s Race, Chicago, Grandma’s, Illinois and most recently The Comrades UltraMarathon in South Africa. Kay was inspired by Julie Moss an Ironman athlete who crawled across the finish line in the 1980s. She started doing triathlons and participated in the World Championships in Nice, France in 1986. Kay has completed all distances in triathlon as well. As she entered into her 40s, she knew she may not be as fast but really became appreciative of how lucky she was to be able to swim, bike and run. 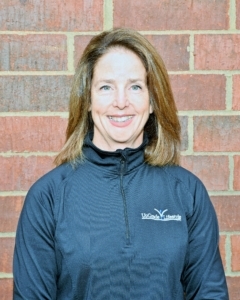 She decided to give back to the sport of running and helped coach middle and high school track teams which proved to be a rewarding experience. For her 50th birthday, Kay completed her first full Ironman in North Carolina. At the same time, she helped her daughter Hannah qualify for the Boston Marathon. Through personal experience, research and various certifications, Kay has the knowledge and enthusiasm to help her clients reach their goals. One of Kay’s favorite quotes from Nelson Mandela is “It always seems impossible until it’s done.” Kay understands that putting yourself out there can be extremely scary and for this reason, she is dedicated to helping her clients “make the impossible” happen. Elise Bautista was born in Los Angeles and raised in Charlotte. In her youth, she never played a team sport and preferred having her nose in a book over physical activity. In early adulthood, she found herself going through a rough time as a young mother facing a difficult divorce. She decided to turn to fitness to relieve stress and build strength and confidence. This has been a theme in her life, finding strength through brokenness. Elise believes that working out became a metaphor for her life, each new obstacle became an opportunity for growth. A close friend suggested that she join her for a 5k race, so she apprehensively tried running for the first time in her life and was hooked. Elise has completed 10Ks and half marathons, appreciating that each new distance brought a new challenge and a new level of confidence. Fitness and healthy living became a foundation of Elise’s life. Working out was part of her daily routine and she developed a love for the fitness community. Training was more than just working out, it was a time to connect with others who shared her love for fitness. In 2011, Elise was on a training ride for a duathlon and was struck by a car. The impact left her body crushed, but her spirit remained intact. Through the support of her family, her partner, and the fitness community, Elise found the strength to press on. In time, she got back to running and working out, but the injuries from her accident left her with scar tissue and persistent pain. A family member suggested she try yoga to help aid with recovery. After years of high-impact workouts, Elise discovered the importance of bringing balance to her fitness routine. Elise quickly realized that yoga was totally different from other workouts as it’s not about achieving a certain mileage, pace, or number of reps. It’s about listening to your body, discovering what it needs, and using these postures to bring growth and healing. It develops not just body, but mind, and soul. In 2017, after years of practice, Elise decided to commit herself more fully to this yoga journey and participated in a yoga teacher training at the renowned Asheville Yoga Center. She loves when a new student comes to class or tries a challenging pose for the first time, when a student finally nails that pose they’ve been working on, or when a student feels stronger and healthier after just a few classes. Elise joins the UpGrade Team with great enthusiasm to share this practice and use it to grow a community that builds others up in a positive, uplifting environment.